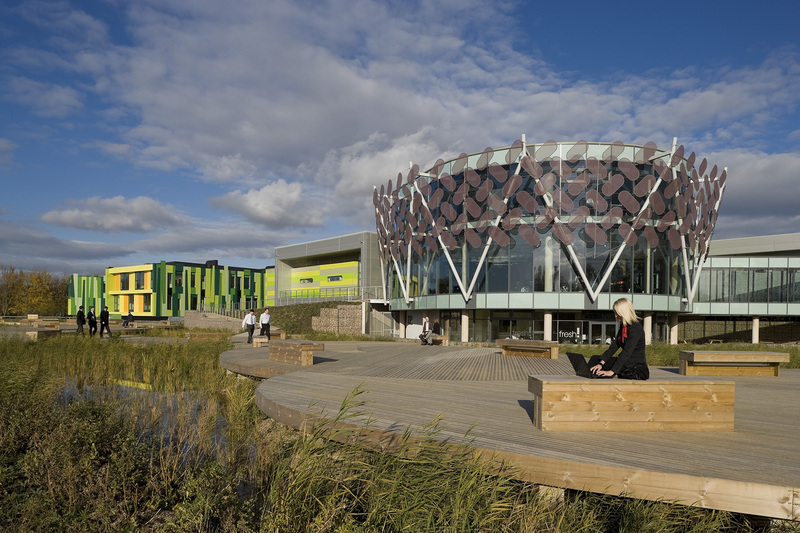 Nottingham Science Park began in 2006 with the reclamation of 12 acres of contaminated land, unused for over 50 years. The site is located immediately adjacent to the University of Nottingham, two miles west of Nottingham City Centre but directly connected to it by the Nottingham tram system. New college and Toyota Training Centre 65,000 sq. ft.
igloo’s vision created an environment dedicated to people and nature. 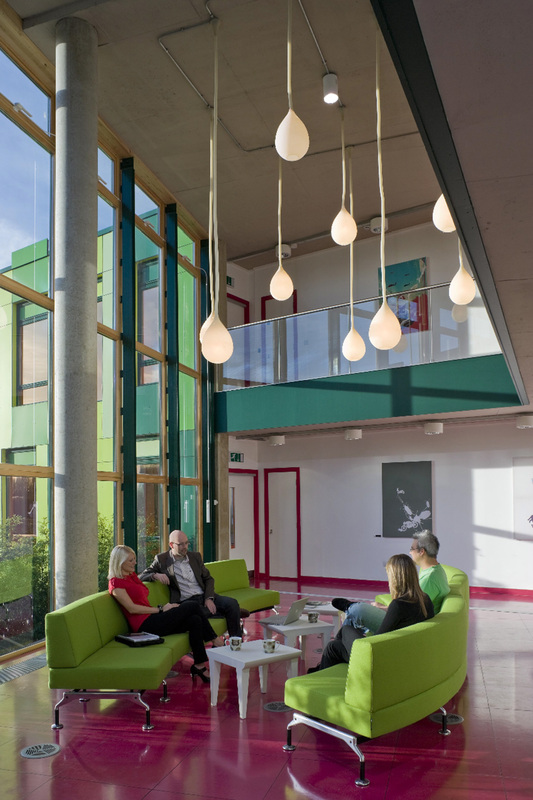 Thinking differently about the possibilities, igloo created an imaginative alternative to the traditional business park. This project has turned a contaminated site into an exciting cutting edge development, being the biggest speculative development of its kind in Nottingham. 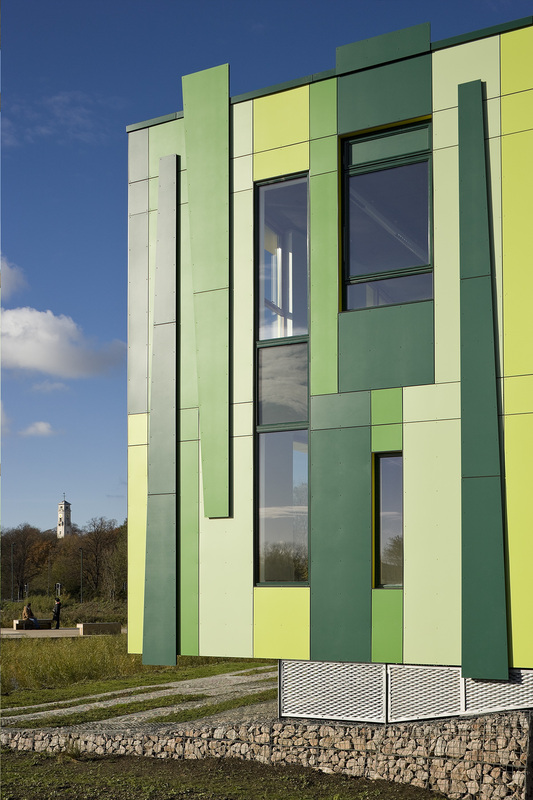 Nottingham Science Park has become the destination of choice for the city’s hi-tech, R&D and enviro-tech businesses. The development is designed around a series of interconnecting wooden lily pads, suspended above a wetland habitat. 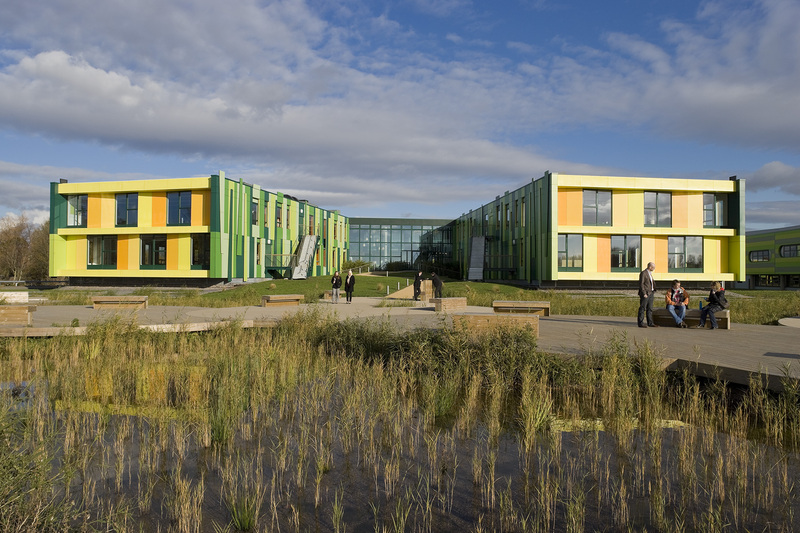 The man-made nature reserve provides not only a beautiful landscape but also space to develop ideas as well as a sustainable urban drainage system. Adjacent to the Toyota Training Centre the No1 Building provides 52,000 sq. ft. of business space reflecting the Science Park’s ethos of innovation, creativity and environmental sustainability delivered with a distinctive high-tech design and effective low-tech sustainable solutions.